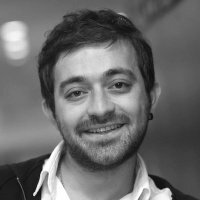 Oguz A. Acar is a Senior Lecturer (Assistant/Associate Professor) in Marketing at Cass Business School, City, University of London. He is also a Fellow of the Royal Society of Arts and the Higher Education Academy. Before joining to Cass, he was a an Assistant Professor in Marketing at King's College London, and a visiting scholar at Massachusetts Institute of Technology and NYU Stern School of Business. He completed his PhD from Rotterdam School of Management, Erasmus University. He also worked as a marketing professional in FMCG and financial services industries. Dr Acar’s research mainly lies at the intersection of marketing and innovation. It focuses on topics such as antecedents of creativity (with a particular interest in behaviour in digital platforms like crowdsourcing communities), psychological consequences of novel firm-consumer interactions (e.g., crowdfunding), and behavioural responses to innovative technologies (e.g., artificial intelligence), products and other creative outputs (e.g., ideas). This research has been published (or in press) in leading journals such as Harvard Business Review, Journal of Management, Research Policy, Psychological Science, PLoS ONE, Leadership Quarterly, Marketing Letters, Industrial Marketing Management and Journal of Advertising Research. Dr Acar's research and opinions have attracted widespread global media coverage – he has written op-eds for business magazines like Advertising Age, Barron's and Forbes, and had his research featured/mentioned in dozens of popular media outlets from Canada, China, France, India, Indonesia, Italy, Mexico, Moldova, Netherlands, Russia, Singapore, Spain, Turkey, UAE, Ukraine, UK, USA and Vietnam, including outlets like the Daily Mail, Financial Times and Yahoo News. Dr Acar has a broad experience in teaching students and executives on topics including Marketing, Innovation Management, Marketing Research, Business-to-Business Marketing and Global Brand Management. Acar, O.A., Tarakci, M. and van Knippenberg, D. (2019). Creativity and Innovation Under Constraints: A Cross-Disciplinary Integrative Review. Journal of Management, 45(1), pp. 96–121. doi:10.1177/0149206318805832 . Acar, O.A. and Deichmann, D. (2019). Does Crowdsourcing Need a Cash Prize to Work? Harvard Business Review. Acar, O.A. (2018). Motivations and Solution Appropriateness in Crowdsourcing Challenges for Innovation. Research Policy. doi:10.1016/j.respol.2018.11.010 . Acar, O.A. (2018). Harnessing the creative potential of consumers: money, participation, and creativity in idea crowdsourcing. Marketing Letters, 29(2), pp. 177–188. doi:10.1007/s11002-018-9454-9 . Tuncdogan, A., Acar, O.A. and Stam, D. (2017). Individual differences as antecedents of leader behavior: Towards an understanding of multi-level outcomes. The Leadership Quarterly, 28(1), pp. 40–64. doi:10.1016/j.leaqua.2016.10.011 . Acar, O.A. and van den Ende, J. (2016). Knowledge Distance, Cognitive-Search Processes, and Creativity: The Making of Winning Solutions in Science Contests. Psychological Science, 27(5), pp. 692–699. doi:10.1177/0956797616634665 . Acar, O.A. and van den Ende, J. (2015). Understanding Fear of Opportunism in Global Prize-Based Science Contests: Evidence for Gender and Age Differences. PLoS ONE, 10(7). doi:10.1371/journal.pone.0134898 . Acar, O., Dahl, D., Fuchs, C. and Schreier, M. (2018). It Is Not All About the Money: Why Consumers Prefer Crowdfunded Products. Acar, O.A., Dahl, D., Fuchs, C. and Schreier, M. (2018). This Product is Crowdfunded: The Signal Value of Having Succeeded in Raising Funds from the Crowd. EMAC Glasgow. Tarakci, M. and Acar, O. (2018). Does Strategic Autonomy Drive Employee Engagement? Strategic Management Society. Acar, O.A. and Tuncdogan, A. (2017). Bringing Innovation to Management Education: Using the Inquiry-Based Learning Approach for Enhancing the Innovativeness of Management Students. Learning at City Conference London. Acar, O.A., West, D. and Koslow, S. (2017). New Product Project Screening: Exploring Decision Making Processes, Speed and Confidence. International Product Development Management Conference. Acar, O.A. (2017). Pay Enough or Don’t Pay at all for New Product Ideas. European Marketing Academy Conference. Acar, O.A. and Tuncdogan, A. (2016). Bringing Innovation to Management Education: Using the Inquiry-Based Learning Approach for Enhancing the Innovativeness of Management Students. 6-8 September, Newcastle University, Newcastle, UK. Contests. Open and User Innovation Conference. Acar, O.A. (2015). Unpacking the Individual Mechanisms of Customers’ New Product Ideation Success. ACR Asia-Pacific Conference 2015 Hong Kong, China. Acar, and Van den Ende, J. (2014). Crowdsourcing Solutions for Innovation Problems: The Interplay of Expertise and Knowledge Search. 74th Annual Meeting of the Academy of Management: The Power of Words 1-5 August, Philadelphia, Pennsylvania, USA. Acar, O. (2014). Unpacking the Knowledge Mechanisms of Crowdsourcing. The Copenhagen Conference on Innovation and Entrepreneurship 17-19 January, Copenhagen. Acar, O.A. and Van den Ende, J. (2013). When Less is More: The Role of Prosocial Motivation in the Reward-Creativity Link. Acar, O. (2013). Gender, Age, Trust and Fear of Knowledge Disclosure: The Case of an Innovation Tournament Platform. Academy of Management Meeting: Capitalism in Question Lake Buena Vista, FL. Tournaments: The Effects of Trust, Gender and Age on Fear of Opportunistic Behavior. European Academy of Management Conference. Acar, O.A. (2013). Knowledge Disclosure Paradox in Innovation Tournaments. Organization Science Winter Conference. Acar, O.A. and van den Ende, J. (2012). Monetary Rewards, Motivation and Crowdsourcing. European Academy of Management Conference. Acar, O.A. and van den Ende, J. (2012). Crowdsourcing for Innovation. Organization Science Winter Conference. Acar, O. and van den Ende, J. (2011). Reward Size, Motivation and Contributions in Idea Crowdsourcing. DIME-DRUID Academy Winter Conference Aalborg, Denmark. Acar, O.A. and van den Ende, J. (2011). Innovation through Online Communities. Strategic Management Society Annual Conference. Acar, O.A. and van den Ende, J. (2011). Innovation Through Online Communities: A Conceptual Model to Assess The Effects of Reward Size on Motivation and Contributions. European Academy of Management Conference. Acar, O.A. and van den Ende, J. (2011). Innovation through Online Communities. International Product Development Management Conference. Acar, O., Karaosmanoglu, E. and Nijssen, E.J. (2009). The Role of Marketing Accountability at the Marketing and R&D Departments' Integration and New Product Success. 38th European Marketing Academy Conference 26-29 May, Nantes, France. Acar, O.A. (2009). Motivation Crowding Effect in Idea Crowdsourcing. European Reward Management Conference. Acar, O. The Value of Optimal Constraints in Crowdsourcing. Open and User Innovation Conference New York. Acar, O.A. (2019). When It’s Actually Better To Be In It for the Money. Barron's. Acar, O.A. and Winsor, J. (2017). The Creative Potential Of (Some) Outsiders. Forbes. Acar, O.A. (2017). Can Crowdsourcing Bring About More Creative Ads? Advertising Age. McCarthy, R.J., Skowronski, J.J., Verschuere, B., Meijer, E.H., Jim, A., Hoogesteyn, K. … Yıldız, E. (2018). Registered Replication Report on Srull and Wyer (1979). Advances in Methods and Practices in Psychological Science, 1(3), pp. 321–336. doi:10.1177/2515245918777487 . Acar, O.A. and Tuncdogan, A. (2018). Using the inquiry-based learning approach to enhance student innovativeness: a conceptual model. Teaching in Higher Education pp. 1–15. doi:10.1080/13562517.2018.1516636 . Verschuere, B., Meijer, E.H., Jim, A., Hoogesteyn, K., Orthey, R., McCarthy, R.J. … Yıldız, E. (2018). Registered Replication Report on Mazar, Amir, and Ariely (2008). Advances in Methods and Practices in Psychological Science. Kouropalatis, Y., Giudici, A. and Acar, O.A. (2018). Business capabilities for industrial firms: A bibliometric analysis of research diffusion and impact within and beyond Industrial Marketing Management. Industrial Marketing Management. doi:10.1016/j.indmarman.2018.11.012 . Acar, O.A. and Puntoni, S. (2016). Customer empowerment in the digital age. Journal of Advertising Research, 56(1), pp. 4–8. doi:10.2501/JAR-2016-007 . Studies in Higher Education, Referee, 2019 – present. Technovation, Referee, 2019 – present. Track Co-chair for EMAC 2019 (Innovation Management & New Product Development track), Track Co-chair, 2018 – 2019. Research Policy, Referee, 2018 – present. International Journal of Research in Marketing, Referee, 2018 – present. Industrial Marketing Management, Referee, 2017 – present. Journal of Business Research, Referee, 2017 – present. Journal of Marketing Behavior, Referee, 2017 – present. Personality and Individual Differences, Referee, 2017 – present. PLoS ONE, Referee, 2015 – present. Journal of Technology Transfer, Referee, 2014 – present. Journal of Product Innovation Management, Referee, 2012 – present. Creativity and Innovation Management Journal, Referee, 2010 – present. European Marketing Academy Conference. (Conference) Groningen, Netherlands (2017). Invited speaker. Innovation and Product Development Management Conference. (Conference) Reykjavik, Iceland (2017). Invited speaker. Co-authors: Acar, O.A. ; Koslow, S.
Learning at City Conference. (Conference) London (2017). Invited speaker. Open and User Innovation Conference. (Conference) (2016). British Academy of Management Conference. (Conference) (2016). Asia Pacific Advances in Consumer Research. (Conference) (2015). Academy of Management Annual Meeting. (Conference) (2014). Marketing Science Conference. (Conference) (2014). Copenhagen Conference on Innovation and Entrepreneurship. (Conference) (2014). Organization Science Winter Conference. (Conference) (2013). European Academy of Management Conference. (Conference) (2013). Academy of Management Annual Meeting. (Conference) (2013). European Academy of Management Conference. (Conference) (2012). Organization Science Winter Conference. (Conference) (2012). International Product Development Management Conference. (Conference) (2011). European Reward Management Conference. (Conference) (2011). European Academy of Management Conference. (Conference) (2011). DIME-DRUID Academy Winter Conference. (Conference) (2011). Strategic Management Society Annual Conference. (Conference) (2011). European Marketing Academy Conference. (Conference) (2009).